Who are we trying to kid here? George Strait releases an album of fifty-one songs and calls it "50 Number Ones." Is there anyone, any where on this planet, who doesn't know this album contains fifty-one number one hits?! Look up "George Strait" in the dictionary and it has "number one" as a synonym. His label is calling this album "the definitive anthology for one of country music's most enduring artists" and rightfully so. With more number one hits than any other single artist in history, George Strait is the definitive case in point of a country music artist. While others tried to decide whether to go hat or hatless, Strait kept his hat on and continued to crank out number one hits with ease. 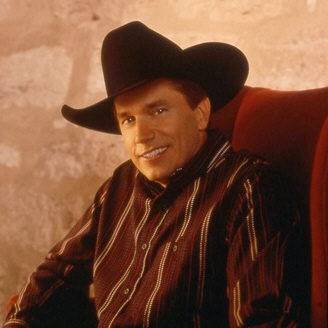 When labels were scrambling to sign artists who were younger, more marketable, taller, thinner -- whatever the current demographic trend indicated -- Strait put on the same ole Wranglers, same ole smile and displayed that same ole talent we have come to know and love. From his first number one hit, "Fool Hearted Memory" in 1982, to today, he has remained true to himself, true to his genre and true to his fans. Strait started out singing in honky tonks in Texas over twenty years ago and the only thing that has changed since the very first time he graced a stage, is the stage. George Strait is to country music what comfort food is to the rest of us and there is enough great music on this two CD set to keep a party going for hours. So drag out the BBQ grill, ice up the beer, throw on the steaks and get ready to waltz and two-step down memory lane. No one needs me to tell them this is a great album, the music speaks for itself.